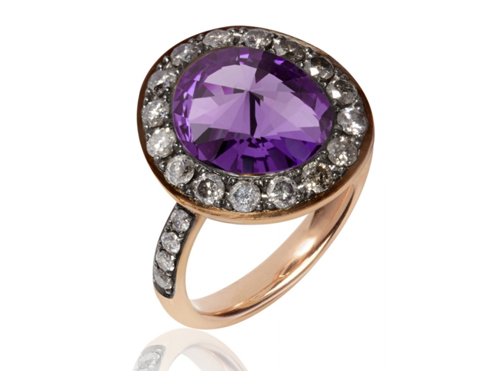 Annoushka, Dusty Diamonds Amethyst Ring, £2,800. Available here. 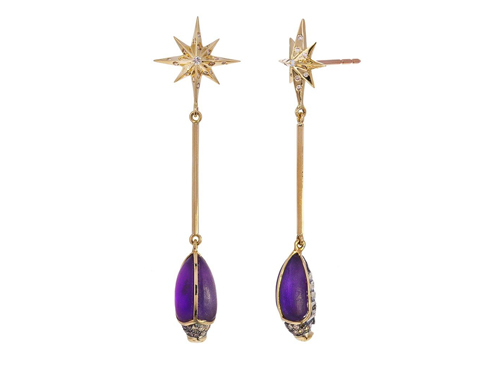 Bibi van der Velden, Amethyst Scarab Star Earrings $4775. Available here. 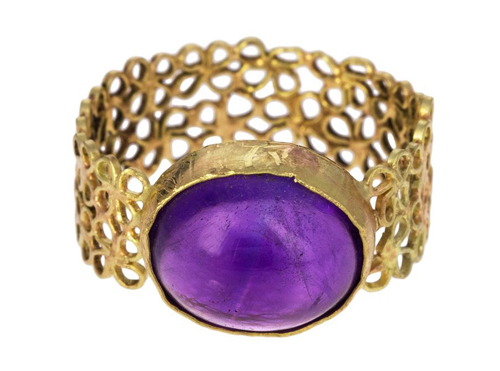 Judy Geib, Amethyst Lacy Ring, $800. Available here. 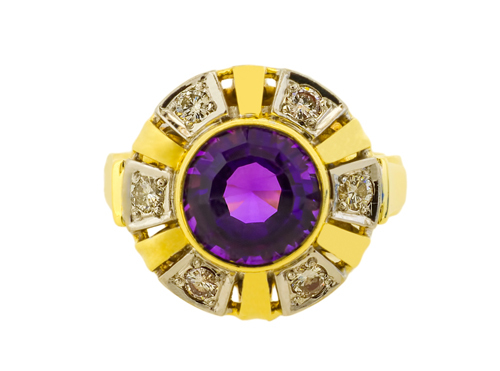 Lila’s Jewels, Amethyst Ring, £580. Available here. 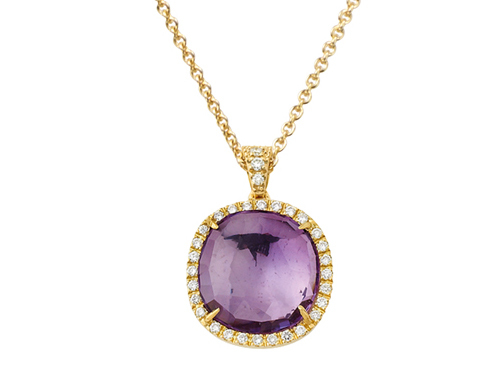 Marco Bicego, Jaipur Sunset Pendant, £2,390. Available at Harvey Nichols, London. 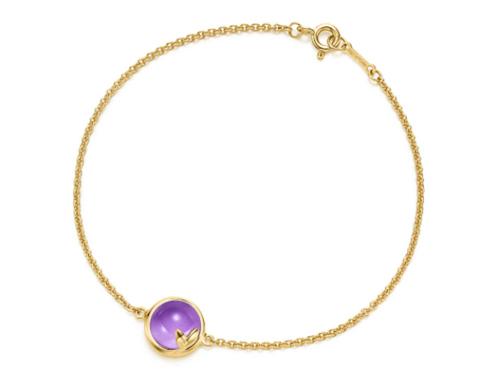 Tiffany & Co, Olive Leaf Bracelet, £655. Available here.